The city of Santo Domingo is one of the oldest in the Caribbean, however the National Palace isn’t a colonial-era structure. Instead it harkens to a different, more recent period of the Dominican Republics history. The National Palace was built in the 1940s during the reign of the DR’s famously brutal dictator Rafael Trujillo. 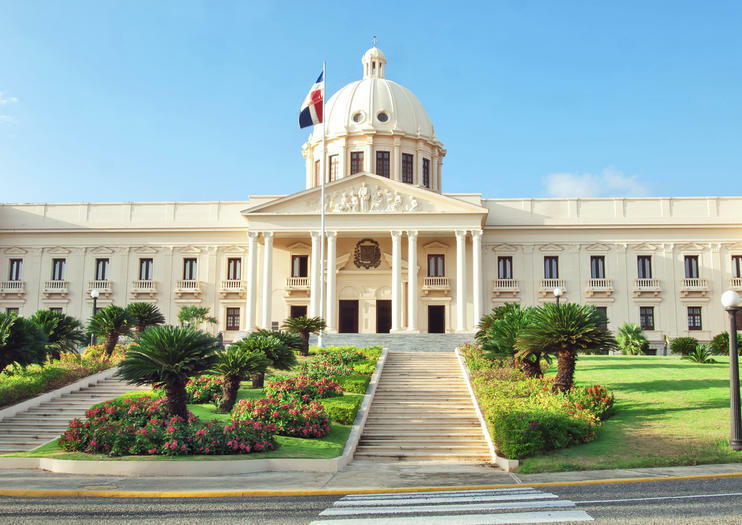 The National Palace is still in use as the seat of the DR’s government and the offices of the president, so it is not generally open to the public. However, visitors can explore the outside and take photos of the building’s impressive architecture. The National Palace is a feature of modern Santo Domingo, and so is not found within the Colonial Zone where most visitors spend their time. However, it’s only a 10-minute drive west of the Colonial Zone, and easily reached by taxi. Santo Domingo is the oldest city in the New World and was declared a UNESCO World Heritage site in 1992. This popular tour includes stops at the first cathedral, a visit to the first paved road, university, hospital, stone home, local tavern and more. Whether it's your first time in Dominican Republic, or you're a returning traveler who wants to escape the beaches for a bit of history, this is the perfect tour! Explore the historic attractions of Santo Domingo, the oldest city in the Americas and a UNESCO World Heritage Site, with an art historian guide on this full-day sightseeing tour. You’ll visit Three Eyes National Park, the Columbus Lighthouse, the 16-square-block Colonial Zone, and the National Presidential Palace, traveling between attractions with ease in an air-conditioned coach. A traditional Dominican lunch is also included.